When blogging for your business, you are not only representing yourself, you are representing the brand for which you blog. 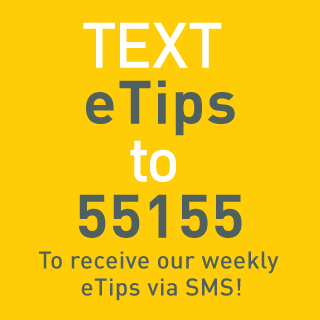 With that said and because it is critical to follow established guidelines in the bloggersphere, as well as the industry, we have prepared these guidelines to keep you on the right track. Remember, be yourself, be truthful and most of all, be authentic. 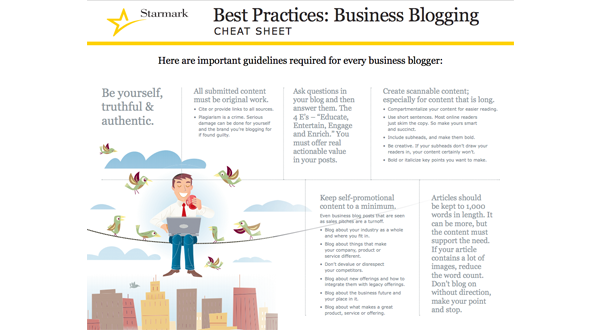 Business Bloggers Cheat Sheet is the sixth “Cheat Sheet” in a series produced by Starmark. If you like what you see, please also check out our Web Design Cheat Sheet, Branding Today Cheat Sheet, Mobile Marketing Cheat Sheet, Twitter for Business Cheat Sheet, and our Social Bookmarking Cheat Sheet.